Wondering how exactly ultra-low sulfur heating oil will help protect New Hampshire’s future? Research shows that ULS heating oil is better for our environment, our heating equipment, and our health. 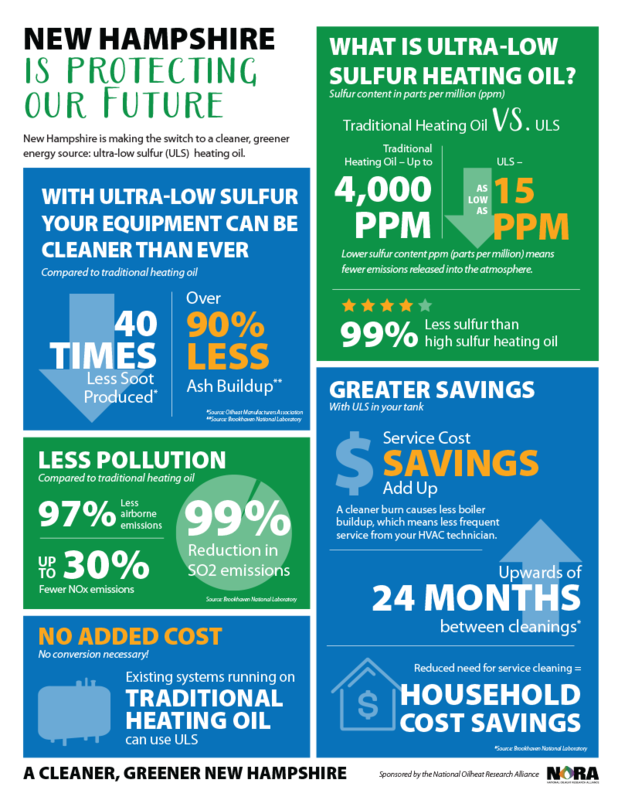 Learn more about how much ULS heating oil reduces emissions, how it can minimize household heating costs, and so much more.